Spain has a strong transport system, supporting both cars and many public transport systems. Getting around the country, and indeed internationally, is fairly simple – although it is always beneficial to assess the best options for your regular travel at first to ensure you are fully au fait with the route and costs. If you plan to live in the countryside, then it will usually be more beneficial to ensure that you have a car to manage your daily life and shopping. 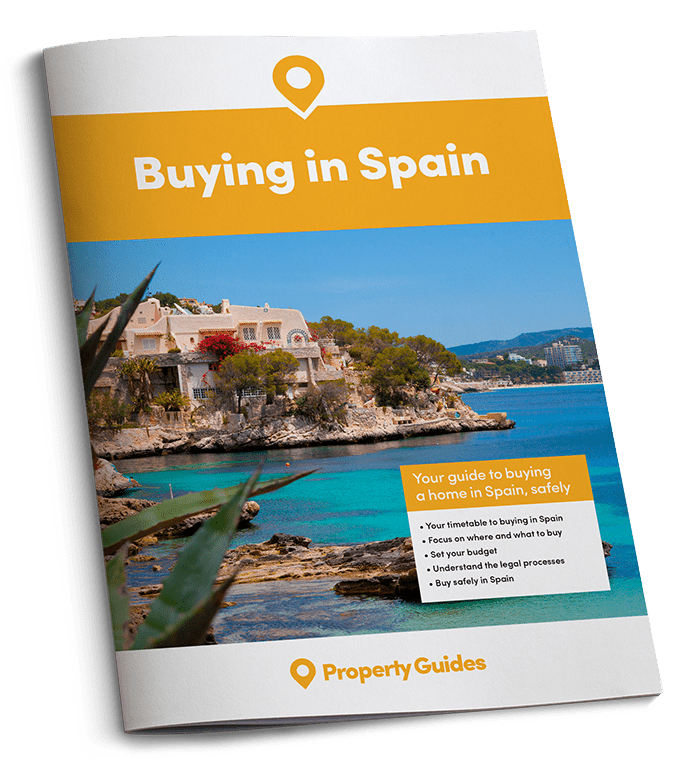 Generally driving in Spain is easy, but the most important thing to remember is that there may be different regulations and requirements here than you will be used to in your home country. The most important thing to remember, of course is that in Spain, you drive on the right. The laws behind driving in Spain, and police are vigilant. The laws behind driving in Spain are strict, and police are vigilant. Driving offenses fall into three categories: minor, serious and very serious. Some speed cameras are able to automatically alert local police if the caught motorist is driving a foreign-registered car. Foreign drivers who are not officially registered in Spain can be fined, and will have to pay this on the spot. All drivers in Spain begin with 12 points on their licence (occasionally this can be raised to 15 for an exceptionally good driving history), and points are removed when an offence is committed. The most that can be removed in one go is six, for a very serious offence. Spain has strict drink driving laws. Their testing equipment allows only 0.5 milligrams of alcohol per millilitre of blood – which is stricter than in the UK, for example, where the limit is 0.8mg/l. New drivers are effectively forbidden to drink and drive, with a very low 0.1 mg/l limit. Using a handheld mobile phone whilst behind the wheel of a vehicle is illegal; ‘behind the wheel’ includes stationary at the side of the road. Only true hands free systems where the speaker is not attached to the ear are allowed. You will see many locals ignoring this law, but the police are becoming increasingly vigilant. Driving in Spain is on the right hand side. Drivers must be over 18 and in possession of a valid driver’s license. Seatbelts are compulsory. There is certain documentation that must be carried at all times: driver’s license, passport/residency card, registration document for the car, MOT (ITV) certificate, the receipt or road tax, and proof of insurance. All cars must carry a reflective jacket for all passengers, 2 warning triangles, a spare type and tyre changing equipment. The most important thing to remember of course, is that in Spain you will drive on the right. If you are driving a right hand drive car in Spain, you will need to adjust your headlights for driving on the right side of the road. You can do this temporarily with strips but if you import a car, you will need to have them properly adjusted. Dual carriageways (autovias); these do not have toll booths. Road standards across Spain are very good, with poorer quality roads only in the more rural areas. The price of fuel fluctuates consistently with other countries, due to the global economy and other affecting factors. Parking regulations in Spain can be fairly complicated. Some towns have regulations stating that if it is an even day of the month, you must park on the side of the street with even numbered houses. Other towns may have streets where you must park on one side for the first half of the month then for the rest of the month it changes to the other side. This is clearly indicated on the red and blue signs which can be found along the street. In some areas it may be necessary to have a permit to park (horas laborables) during office hours. 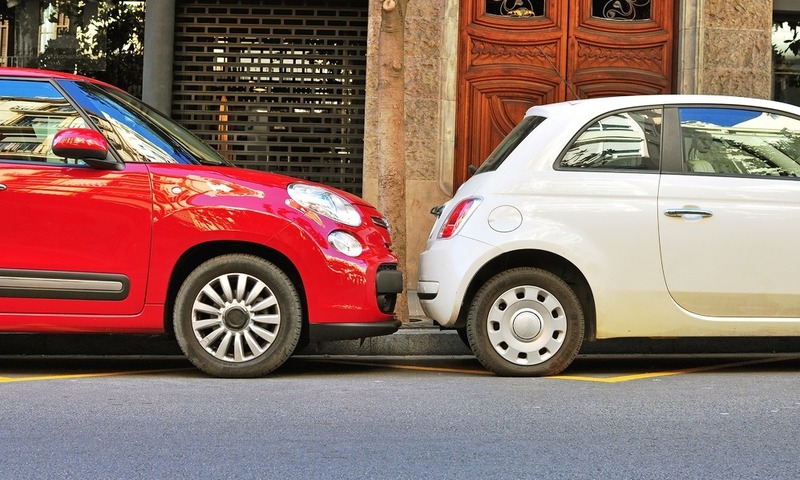 Parking regulations in Spain can be fairly complicated, so it’s a good idea to make sure you are 100% sure you can park somewhere before you do so! Parking meters are common but are being gradually replaced with ticket machines. You must pay using a machine if parking in a blue zone between 9am-2pm and 4pm-9pm on weekdays and 9am-2pm on Saturdays. City centre car parks are usually underground, and there will be a sign outside which tells you if there are spaces available. There will usually be a cash desk or pay station where you can pay before you leave the car park. Cost of parking will vary depending on location. In some towns there is the ‘ora zone’ system and tickets for parking are sold at various retail outlets for 30, 60 or 90 minutes’ stay. No parking signs are blue with a red line. Be aware that a single yellow line is the equivalent of a double yellow line in the UK – so no parking! Regular parking fines will result in points being deducted from your license. Spain’s train network is extensive, and will allow you to travel easily between all major cities. Trains are operated by RENFE, the national railway company, which has a good online booking service in English as well as other languages. For anyone over 60, Renfe offers an annual discount card called the tarjeta dorada, which costs just €5 per year. This card allows pensioners to receive a 25% to 40% discount on all train services. Children under six travel for free and those under 12 get a 50% discount on fares. Those between the ages of 6 and 60 will, however, find that prices for travel are generally lower than in the UK. Spain’s train network is extensive, and will allow you to travel easily between all major cities. There are several different types of train, which could be confusing at first. The AVE (very high speed train) is the flagship service, and runs from Madrid to Barcelona, Sevilla, Málaga, Valladolid and Huesca. 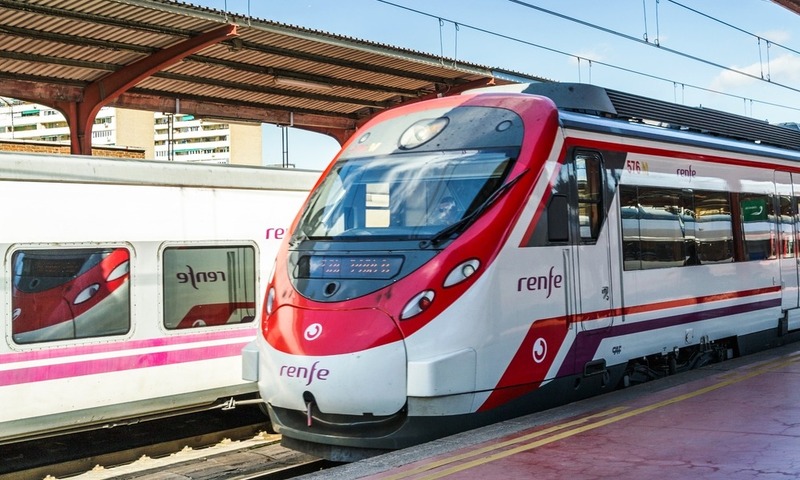 More stations are planned, connecting Madrid to Alicante and Valencia. The AVE also now connects Barcelona to Paris, in a journey that takes 5.5 hours from city centre to city centre. Tickets for the AVE are more expensive than for other train services, but if you book early, as you would with budget airlines, you can get good deals at most times of the year. Interestingly, you might be able to get a first class ticket for less than an ordinary ticket in the UK. The commuter trains are called cercanias and operate in all of Spain’s major cities. RENFE runs regional train networks which are called media distancia. There are also local region trains such as FEVE, a narrow gauge railway in the north of the country and a local service in the Basque region, the EUSKOTREN. Trains in Spain are operated by RENFE, the national railway company. Several cities have a metro system, including Madrid, Málaga, Barcelona, Bilbao, Sevilla and Palma de Mallorca. The bus services running between cities in Spain are privately owned by different companies – each of which offers different national schedules. Information can be found at bus stations and online. Bus travel in cities, run by local authorities, is efficient, but in smaller towns and country areas these services can be rather sporadic. Generally buses in Spain are modern and air conditioned. The major companies include ALSA and SARFA, which covers Catalunya. A return journey from Madrid to Barcelona (621km/386 miles) will cost in the region of €24-€40, depending on time of day, and time of year. Taxis operate in all areas, but the costs vary enormously and can be very high for a journey from an airport to a location some distance away. Taxis have meters, and are licenced by local authorities. If you can, arrange to be met at the airport knowing in advance what the price will be. Most hotels and villa or apartment owners can arrange this for you. Some larger hotels will have minibuses available for their clients. Living here, we all need a taxi from time to time but they can be expensive outside Madrid and other main cities.